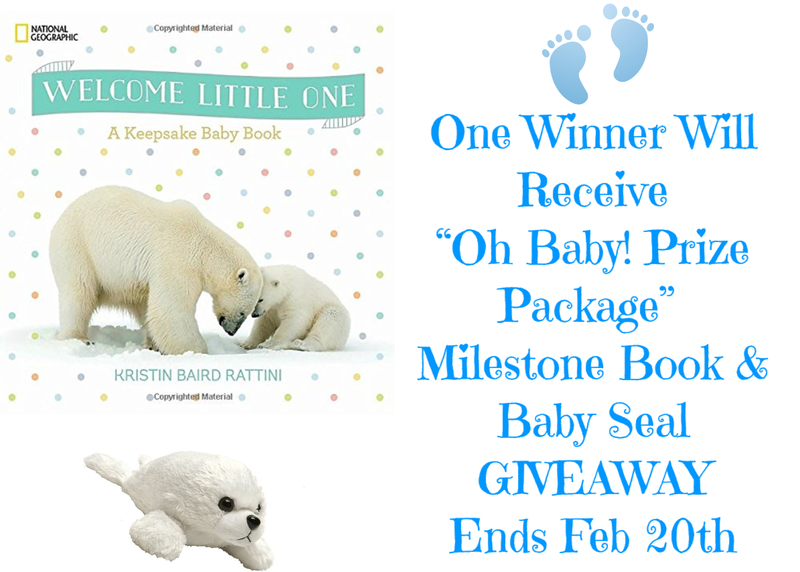 Welcome Little One: A Keepsake Baby Book by Kristin Baird Rattini. In a time when one’s Facebook feed has become the de facto substitute for a baby book, it’s now more important than ever to make sure baby’s first step, first word, and first haircut are captured in a way that will stand the test of time. Welcome Little One focuses not only on baby’s firsts but also special family memories that, in the rush (and sheer exhaustion!) of the baby’s first year, are all too often forgotten. Nat Geo is correct! We do post all the important stuff going on in our daily lives on Facebook but what happens when you want to see it again? You have to search and search trying to remember when you posted it and praying you can find it. What about the stuff you forgot about? I love re-reading my kids milestone books. I also love reading my own. Thankfully my mom kept one too! You can never get back those special moments in your young child's life and we can only remember so much which is why I always give Keepsake Books at a baby shower. Each page is filled with color illustrations and National Geographic’s renowned photographs of adorable baby animals and their parents from nature’s nursery. In addition to having ample room for personalization and stylish removable stickers to commemorate monthly milestones, Welcome Little One features inspiring, comforting and practical sayings, poems and words of wisdom from a varied collection of personalities, including Ann Landers, Maya Angelou, Jody Picoult and English poet Samuel Taylor Coleridge. The included “milestone” stickers commemorate not only precious moments like first steps and first haircut, but also some of the more unique but equally memorable events like baby’s first road trip and first play date! Whether you are a parent-to-be that is new to keepsakes or you are a longtime scrapbooker, Welcome Little One is perfect for expecting and new parents that will not only help keep important once-in-a-lifetime firsts recorded, but will serve as a family heirloom enjoyed and pored over by generations to come. These photos don't do this book any justice. Check out this link for way better pictures. National Geographic Partners LLC (NGP), a joint venture between National Geographic and 21st Century Fox, is committed to bringing the world premium science, adventure and exploration content across an unrivaled portfolio of media assets. NGP combines the global National Geographic television channels (National Geographic Channel, Nat Geo WILD, Nat Geo MUNDO, Nat Geo PEOPLE) with National Geographic’s media and consumer-oriented assets, including National Geographic magazines; National Geographic studios; related digital and social media platforms; books; maps; children’s media; and ancillary activities that include travel, global experiences and events, archival sales, licensing and e-commerce businesses. Furthering knowledge and understanding of our world has been the core purpose of National Geographic for 129 years, and now we are committed to going deeper, pushing boundaries, going further for our consumers … and reaching over 760 million people around the world in 172 countries and 43 languages every month as we do it. NGP returns 27 percent of our proceeds to the nonprofit National Geographic Society to fund work in the areas of science, exploration, conservation and education. For more information visit Natgeotv or National Geographic, or find us on Facebook, Twitter, Instagram, Google+, YouTube, LinkedIn and Pinterest.